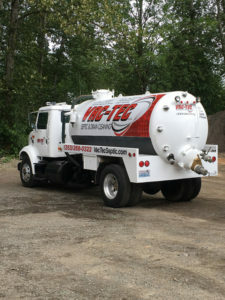 We are an area leader in the septic and water services industry that is managed and operated by people that have actually done the work services of septic tank pumping, maintenance, septic inspection and repair. According to state and local codes, property owners that have a septic system must have it checked on a regular basis to ensure it is functioning properly. We can conduct an inspection for you to determine if your system requires septic pumping. Regularly-scheduled septic tank cleaning is the key to maintaining a well-functioning septic tank system. Call us for a free estimate! As a key element to prolonging the life of your septic system we recommend septic tank cleaning every three to five years depending on the tank size, type of tank and volume usage of your system. To avoid the occurrence of sludge and scum leaving your septic tank and entering the soil absorption field causing drain field clogging, we encourage you to call us for septic tank pumping. Septic tank pumping and cleaning also provide our technicians with an opportunity to check the components of the tank for any problems. Call us for septic pumping service and proper, legal waste disposal. 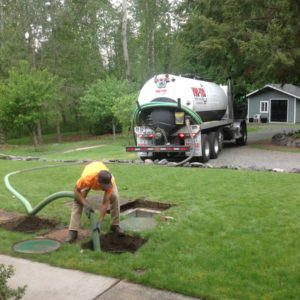 Why Should Wilkeson Residents Choose Us for Septic Pumping? When you have an emergency involving septic system failure you need to call for a company with professional technicians that are professionally trained in the business of septic tank pumping and septic tank cleaning services. 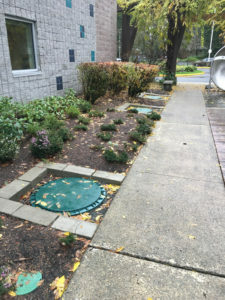 Inasmuch as property owners are unable to see inside their septic system it is important to place it on a regular septic inspection and maintenance program to prevent costly problems.